What does it cost to become a pilot? The private pilot certificate opens up a world of flight, travel efficiency and/or adventure depending on the desires of the pilot. However, there are some limitiations. There are certain aircraft types that require additional training to operate safely. High Performance and Complex are two of those types. While additional training is required you'll find the training does not take a long time and it can be a lot of fun to learn new aircraft! Best of all, no check ride required! The following table describes each type of aircraft. This is any aircraft with an engine producing more than 200 HP. Some aircraft are both high performance and complex and require both endorsements to operate. 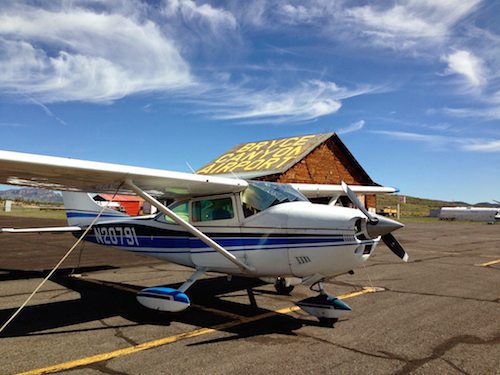 The high performance endorsement will get you into aircraft like the Cessna 182. This plane travels faster and has much greater range and capabilities than a typical Cessna 172. The biggest challenge in learning a high performance plane is getting used to flying an aircraft that is moving much more quickly than you may be used to. At first it will be difficult to "stay ahead of the plane" but with some practice it will become second nature. You need to be more careful when managing power and engine cooling than you may have been in your trainer aircraft. Finally, this is typically the first exposure to an aircraft that "can go down or slow down" but can't do both. Careful planning of your descent and arrival is critical in high performance aircraft. To prepare for this endorsement training read the POH for the aircraft you intend to fly from cover to cover and read the FAA Airplane Flying Handbook, Chapter 11 Transitioning to Complex Aircraft, specifically focused on the section about the Controllable Pitch Propeller. If you do not already have the Airplane Flying Handbook it can be downloaded free of charge from the FAA in PDF form here: Airplane Flying Handbook (complete document) or here: Airplane Flying Handbook Chapters 10 - 12. This course of training will typically take two to three flights with about an hour and a half of ground training. The complex endorsement will get you into aircraft with retractable gear and constant speed propellers in addition to the flaps that you are most likely already used to using. Common complex "trainer" aircraft include the Piper Arrow and Cessna Cardinal 177RG. This endorsement (and a high performance endorsement) is required to fly aircraft like the Beechcraft Bonanza. The greatest challenge with this endorsement is learning how to manage the aircraft gear in addition to the constant speed propeller. If you haven't been using a verbal pre-landing checklist like BCGUMPS or GUMPS you will by the time you complete this endorsement! To prepare for this endorsement training read the POH for the aircraft you intend to fly from cover to cover and read the FAA Airplane Flying Handbook, Chapter 11 Transitioning to Complex Aircraft. Review the entire chapter (you may skip the section on Turbocharging). If you do not already have the Airplane Flying Handbook it can be downloaded free of charge from the FAA in PDF form here: Airplane Flying Handbook (complete document) or here: Airplane Flying Handbook Chapters 10 - 12. 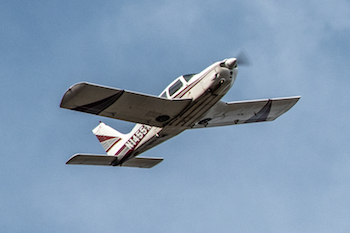 Some insurance companies require a minimum of 5 hours of dual and 25 take offs and landings with an instructor before a new complex pilot can fly the aircraft solo. In addition you can expect to spend up to two hours total in ground instruction to learn the new aircraft systems. I find this a good minimum to cover everything listed above and to get managing the plane's gear ingrained into the pilot's psyche. I will do my best to make you paraniod about the landing gear to the point that you will never trust it is down without double and tripple checking it. This is on purpose to make sure you stay firmly in the group of pilots that have never had an accidental gear up landing. Contact me with any questions or to schedule your next flight!